1993. Karl West. 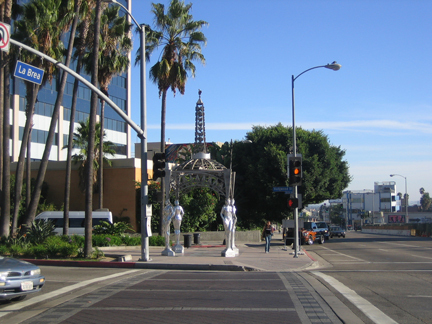 Hollywood Blvd at La Brea, Hollywood, California. Designer: Catherine Hardwicke; technical artist: Jack Brogen; sculptor: Harl (Karl?) West; supervisor: Richard Prentis; graphics: Margo Chase. CRA sponsored. 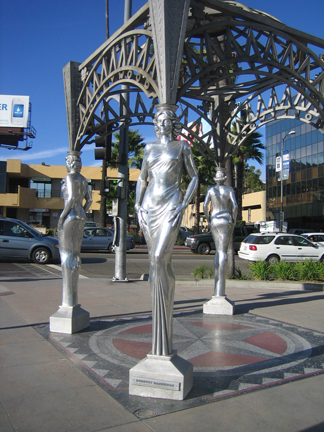 The Gateway depicts Dolores Del Rio, Anna Mae Wong, Mae West, and Dorothy Dandridge.